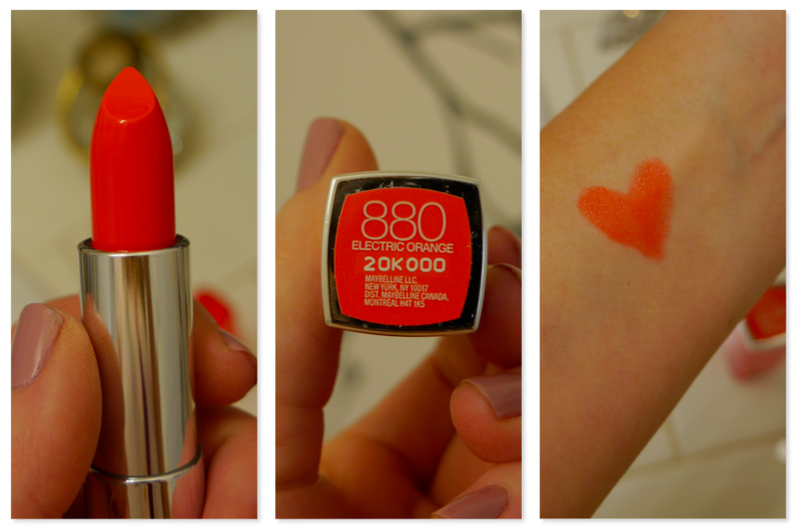 Roses are red, violets are blue, orange lips are big for spring and I want you to try them too. You might not believe this from that poetry, but I was an A+ student. I have been seeing orange lips as a spring makeup trend and been thinking about them A LOT. 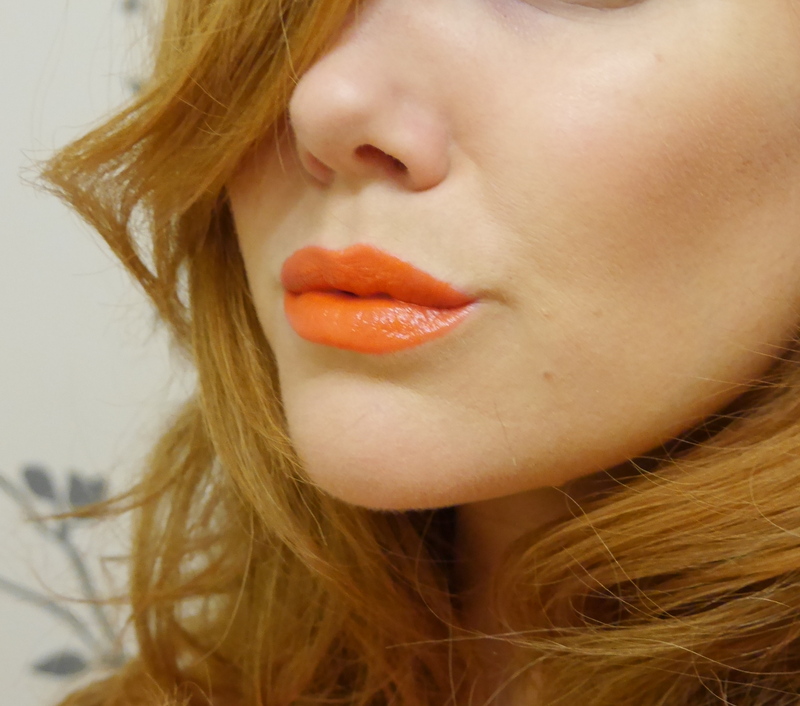 I like the idea of a bold lip for spring and orange is a really interesting take on it. 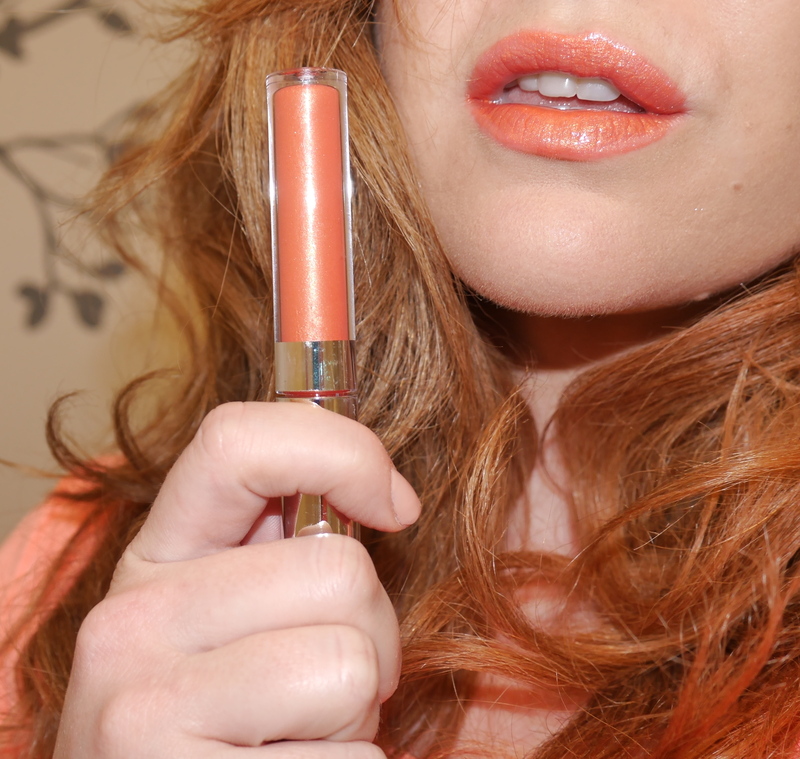 I found a really gorgeous orange in the Maybelline Colorsensational line. These lipsticks are a drugstore fav of mine, reviewed it in this post. 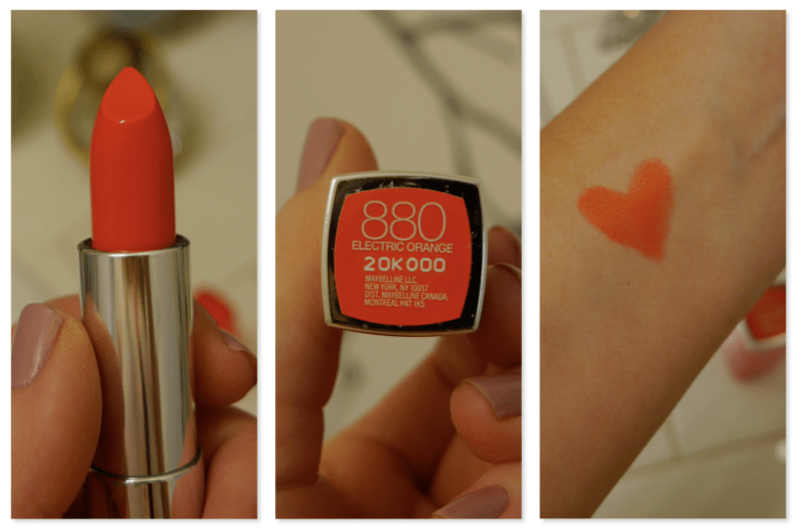 The shade I got is called “Electric Orange” but don’t let the name scare you! It’s bright, but wearable, especially blotted. Great way to try a trend, this lipstick is under $10! Eyes – matte chocolate brown eyeliner, matte dark brown shadow worn around the liner to soften the edges, taupe shadow in the crease, and cream shadow under the eyebrow arch and inside the inner corners of the eye. Face – fresh looking skin with a hint of coral blush and light bronzer. If the lipstick it still too intense, you can try an orange lip gloss. 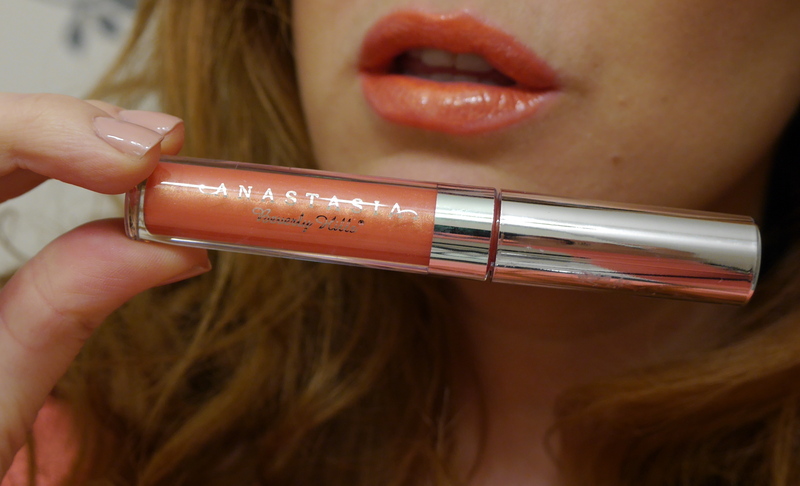 I got the Anastasia Hydrafull gloss in Bellini in a gift bag and it feels great on the lips and after about a half-hour leaves a hint of color on your lips. Gloss is a really nice way to try this trend in a softer way. 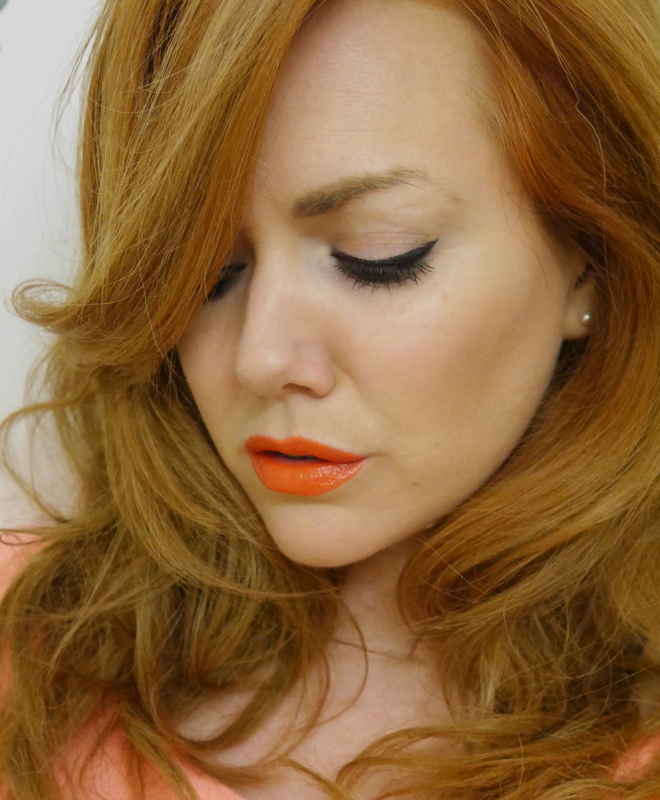 Let me know what you think, will you be trying spring’s orange lip? Orange you glad that you read this post? LOL. Ok, yeah, bye.